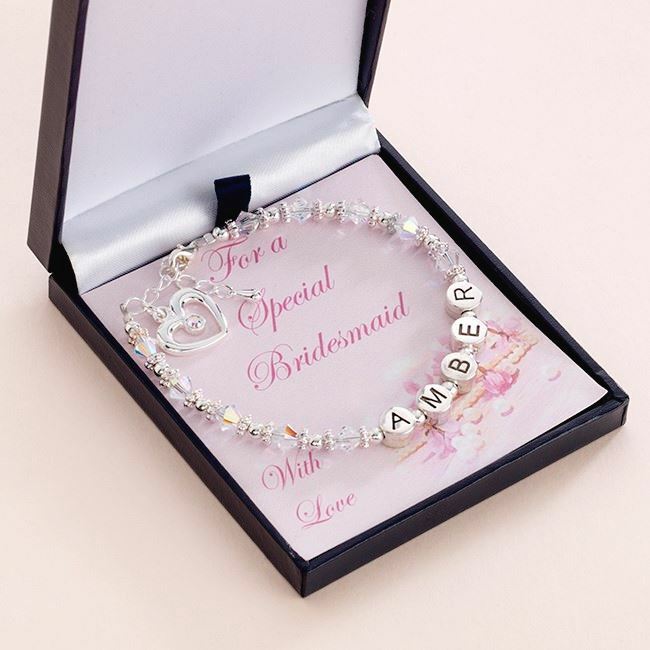 A beautiful gift for your Flower Girl or Bridesmaid, a Crystal Name Bracelet on your choice of Card Mounts. A lovely bracelet made with Swarovski Elements crystals. Shown here in clear crystal but available in a huge range of colours. Featuring a beautiful open heart charm with tiny crystal inset.